Over the weekend we took the girls to Avalon Park. It’s got an old school bike park, with the mini roads painted out with proper signage, roundabouts and intersections. It was designed and built I assume to help children learn and practise road safety. The local mini-train enthusiasts run their miniature railway through the middle of it, so there's even train crossings to contend with. After that we went across to the more recently developed section of the park, which is similar to the Margaret Mahy park in Christchurch - a fantastic resource. I shot this video there - it's wobbly and not very high quality - but it captures quite easily why I find this country so very special. You can see a child wearing her hijab, a family taking part in prayers, you can hear the sounds of a Chinese family, there are Māori and Pakeha kids playing, and my Northern Irish-Fijian-Kiwi daughter bouncing on the flying fox. She ended up comparing gymnastics tricks on the mini-tramp with a Samoan girl for about 10 minutes. None of this is captured in the imminent election campaign in which parties of the left and the right will use immigration as a whacking stick to stir up the electorate. But we have a nation where what's captured in this video happens every day - and the feeling there was of community and care and families enjoying themselves in safety. And I wonder why we don't value that reality more - really value it for the simple honest thing that it is. 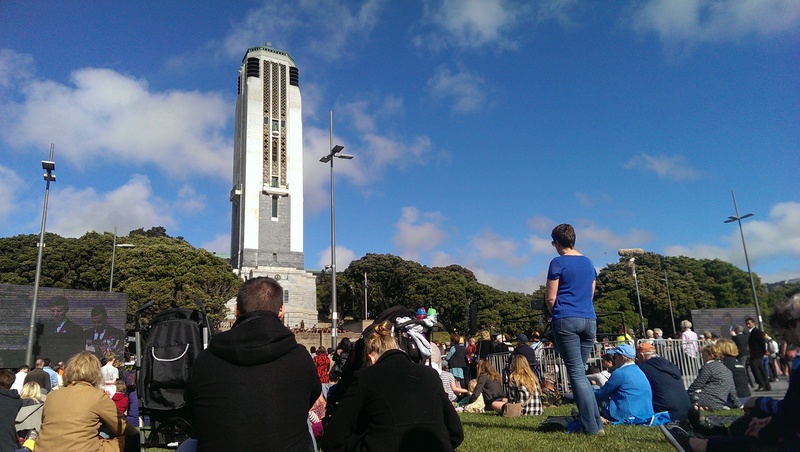 Today on ANZAC Day, as a family we went to the Pukeahu War Memorial for the National Commemoration service. There amid many dignitaries and excellencies from a range of nations, were people from many races and creeds. We sat in the sun on the grass, across from a man and his dog and behind a young family with kids in their buggy. The Prime Minister and Governor-General spoke, and Isabella was fascinated by the four young women who represented the youth who recited a poem. Amidst the construct of the ceremony, the beautiful singing from the choir and the military attentiveness, I reflected again on the nature of this New Zealand. A New Zealand where the Royal Air Force brass band could play this piece after the official ceremony had finished - and it felt right and made me smile. An Aotearoa that was evident at Avalon Park, and is possible because of what we pause to honour every 25th day of April. We tell that story often, to each other and to our students - namely that the sacrifice of those at Anzac Cove and on the hills surrounding it, was where our young nation was born. And that is a useful story. But not the only story. I've been reading about the Shoah recently, and Holocaust Day took place on April 23-24th this year. This opinion piece by Chuck Schumer resonated with me because of how he describes the deliberate and ongoing act of remembrance. Each year on Yom Hashoah, we are called on to do something that sounds very simple—“remember.” But in fact, it is much more than just a simple task of recollection; it is a moral imperative, as sacred and as holy as a commandment. We must remember the innocent victims of the Holocaust who cannot speak for themselves, whose memory calls down to us through the decades for justice. We must teach our children and the children of the world what happened to the Jews of the Holocaust, so that such evil is never revisited on our people or on any other people. As New Zealanders we are usually good at remembering, albeit on just one day, and somewhat selectively at times. How often do we actively tell our origin stories in honest and considered ways - to "shake our consciences" and "so that evil is never revisited on our people or any other people". We live in troubled times, both here and abroad and where arguably evil rises again in a myriad of forms. 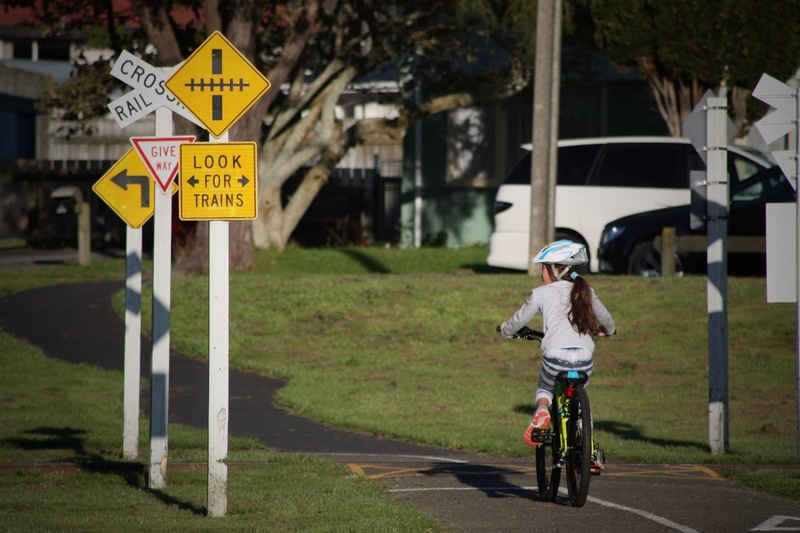 What are the stories we need to be telling ourselves to ensure that what I saw at Avalon Park, and that plays out all across Aotearoa, doesn't become the exception, but continues to be the rule.